I took these pics later the same day (Tuesday) that I took the other pics I posted. 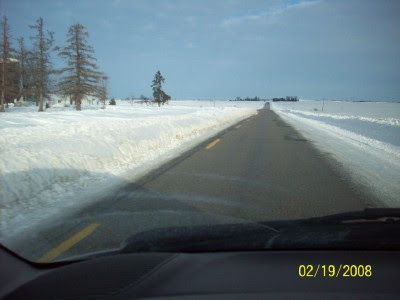 These are from the highways and byways of northeast Iowa. Traveling south. 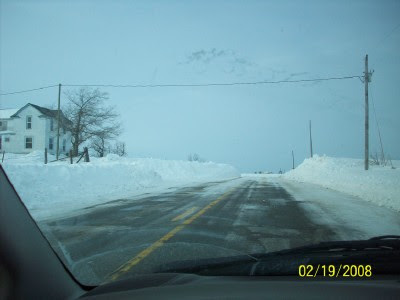 You can see that the road is still covered with ice and snow (the ice and snow storm was on Sunday). 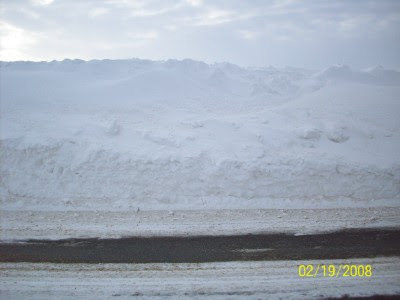 You can see that the snow is piled pretty high alongside the road! Traveling east on a different highway. About every mile or half mile, I came across areas where only one lane was open. 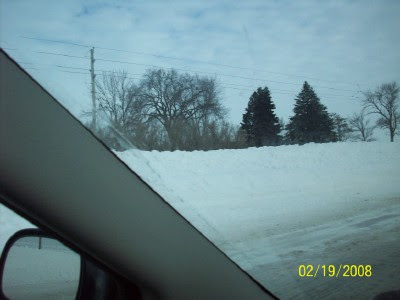 I missed a chance at taking a photo of a clean up crew that was going from one area to the next, removing the snow from the north lane. 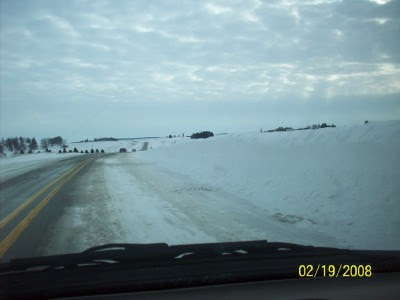 Heading north again on a different highway; Snow drifts still covering certain sections of the road. suggest you box the stuff, let it melt and take it California...I hear they always need more water! Wow. Thats definitely not like SC highways lol. Awesome pictures though. I wish I was there! LOL. Although its nice and warm here in Colorado and not any snow in sight! I don't know what it is, but I have something for 'big' snow storms! Alvin... someone on the west coast commented on my blog that she's staying put where she's at... so maybe that's a great idea! Beautiful pictures, Joel. They bring back fond memories of winters in N. J. although I'm glad that, at this point, they are only memories rather than a present reality. It was cold and rainy here today in S. C. but I'll be merciful and not divulge the temperature.